Parker hydraulic motors Riverside CA come from a brand name you can trust. Plus, they are packed with features like high starting torque of up to 90 percent of running torque, smooth output, heavy duty bearings, and mountings that meet SAE standards. Next time you need a new hydraulic motor, why not try a Parker motor? 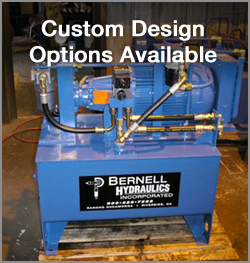 The friendly staff at Bernell Hydraulics will be happy to help you explore all your options. When investing in a new hydraulic motor, you naturally want to get the best possible system. Choosing a reputable dealer is part of achieving this goal. As an official Parker parts distributor, Bernell Hydraulics only sells authentic, high-quality Parker hydraulic motors Riverside CA. Plus, our skilled technicians have access to Parker’s factory specs and other resources that give them the knowledge needed to work on and talk about Parker motors with authority. You can visit us at any of our three ParkerStore locations, or call one of our mobile techs out to your job site to talk about getting new hydraulic motors.